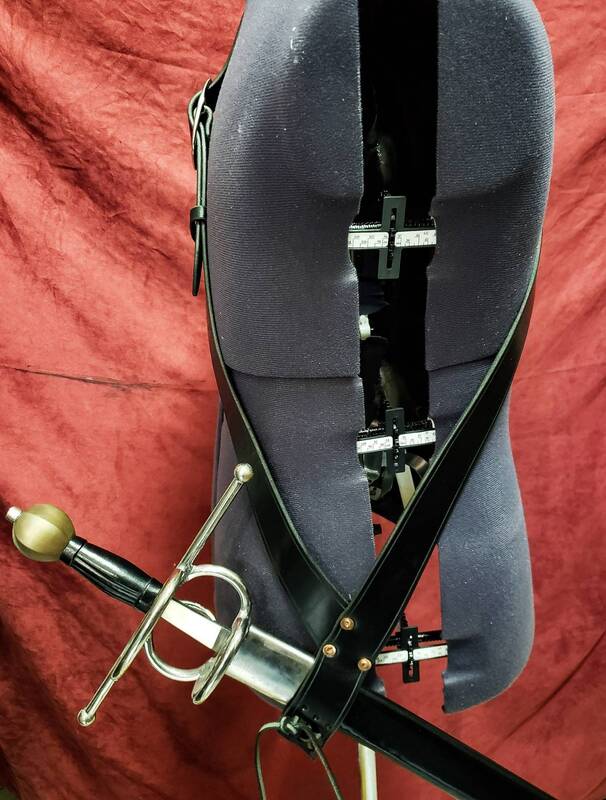 This is a handmade leather baldric made to carry a wide range of swords. 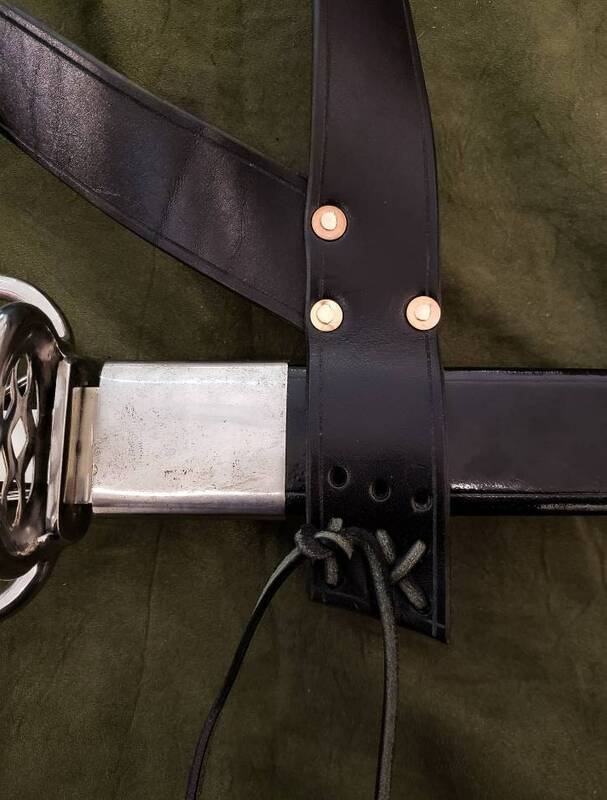 Each baldric is made out of 8-10 ounce latigo cowhide, unless the "natural" option is chosen, in which case it will be made out of 8-10 ounce vegetable tanned cowhide. Unlike the other baldrics we offer, this one has a much more rudimentary design. 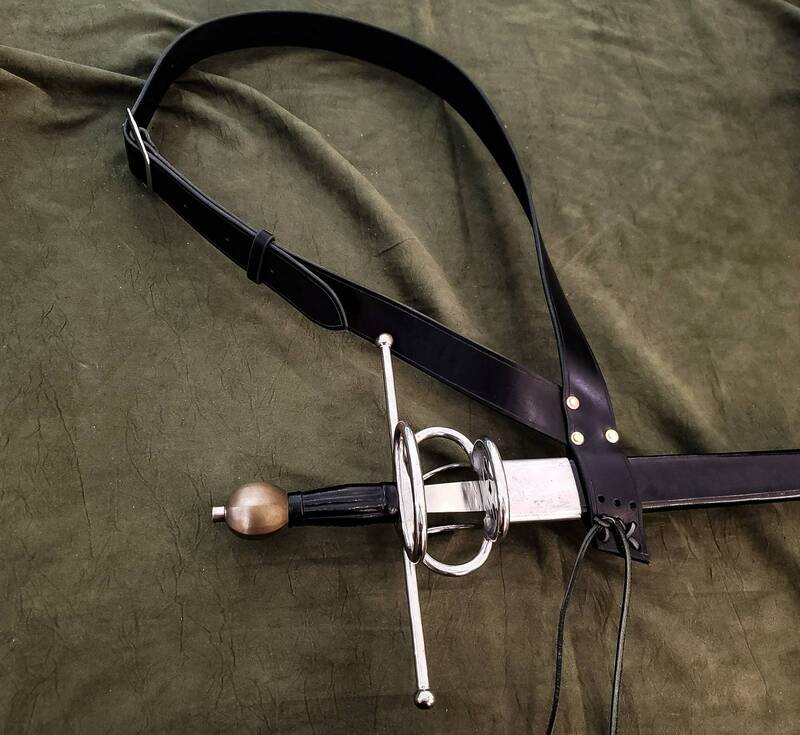 Instead of a separate frog, the sword is attached to a loop made from two sides of the main strap, with holes and a leather lace to tighten the loop around the scabbard. 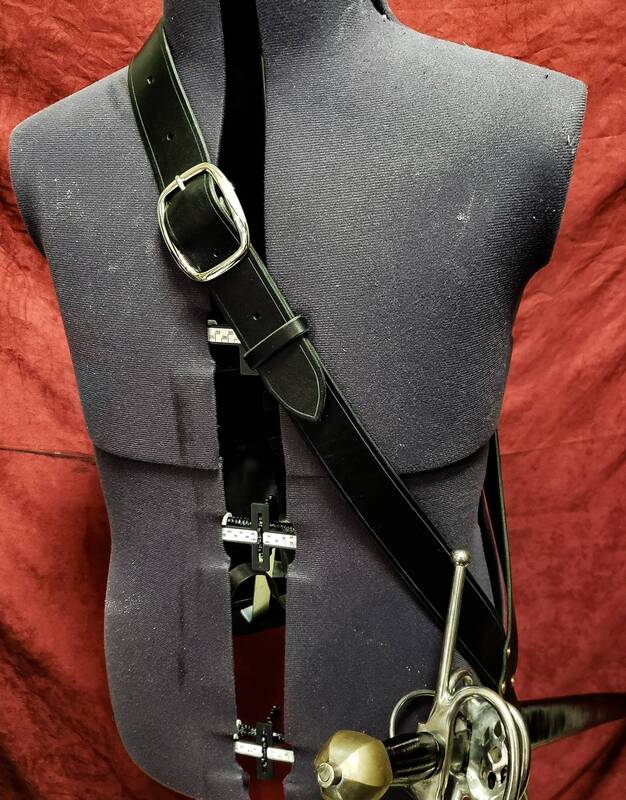 Each baldric is 1 3/4" wide, and can be adjusted to comfortably fit someone 5'5"- 6'2" If you need one custom made to accommodate your height, feel free to contact me.